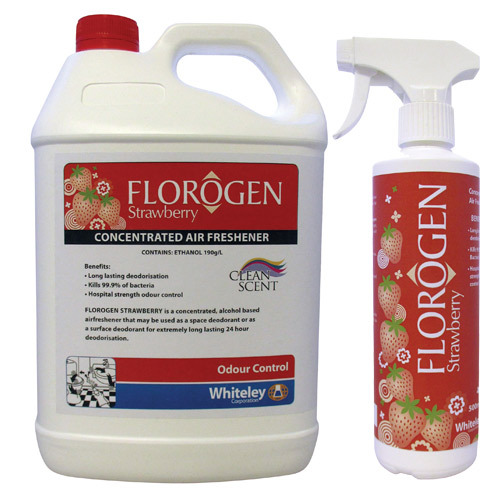 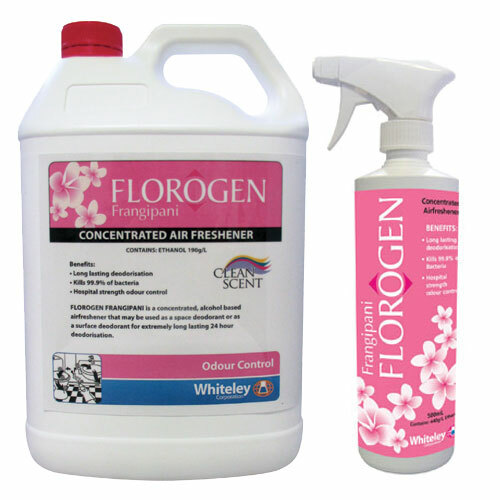 The FLOROGEN range will mask unwanted odours and provide a positive method for increasing hygiene in the immediate area of use. It provides a reduction in both the aerial microbial count and surface microbial population. 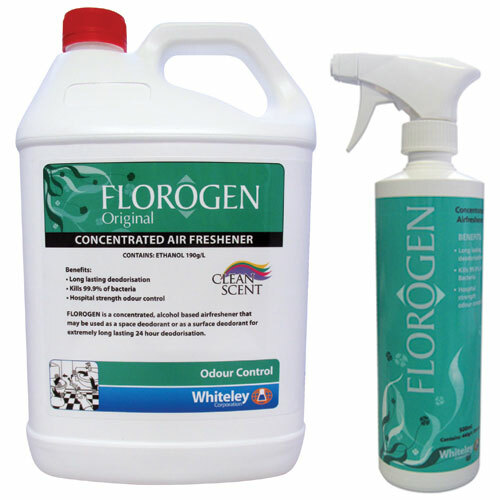 The FLOROGEN range should be applied by atomised spray. Finer sprays give greater distribution of small liquid particles over a generally wider area and this accentuates the masking action of the product. Click here for Florogen MSDS.